Absolutely one of a kind! Completely updated and no detail overlooked! 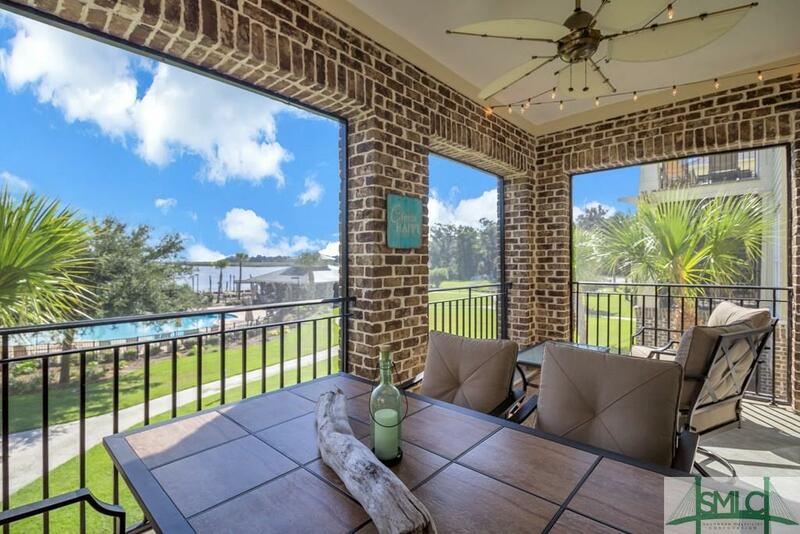 Enjoy beautiful panoramic sunsets over the Ogeechee River in this meticulous 3bd/2.5ba second floor low maintenance condo in gated community! Building includes an elevator! Relax on the covered screen porch or heated/cooled sunroom and enjoy the morning sunrise with a cup of coffee or evening sunsets! Gourmet kitchen with stainless appliances, hard surface countertops including breakfast bar, custom cabinetry, and tile backsplash! Wood flooring, plantation blinds, and crown molding throughout! Shiplap accent wall in living room! Spacious master bedroom suite with walk-in closet! Master bath includes double sink vanity, jacuzzi tub, and separate shower! Detached carport with storage closet! Amenities include a community dock with deep water access, community river room with fire pit, fitness center, and pool, all with stunning river views!